When you log in to Drive as a game author, you land on the main dashboard for your Drive game. 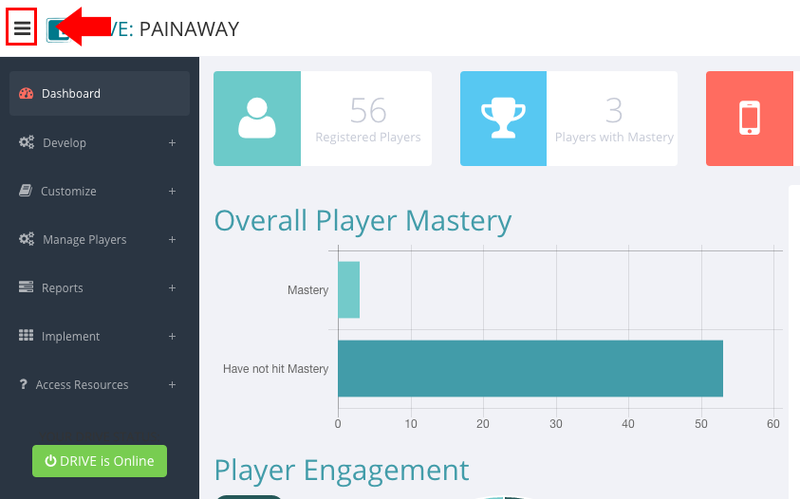 This dashboard is your launching point for anywhere else you want to go within the authoring tool. It is also a source of summary information about your game and its players. Let’s look at how this dashboard is organized. 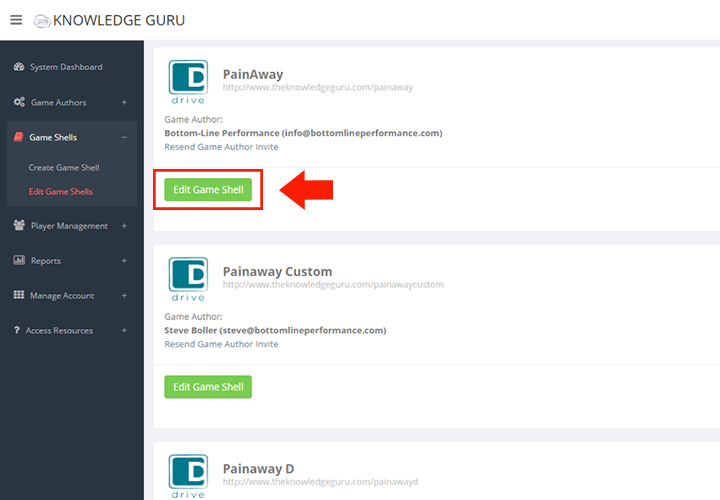 If your game has not yet launched, a Knowledge Guru Drive Creation Checklist to Launch will be displayed. 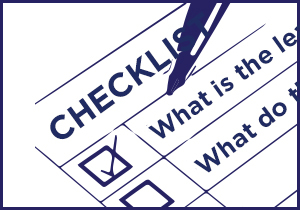 This checklist outlines the six steps you need to execute to get your game created. Clicking any of the six steps provides you with a detailed explanation of each one. Once you make your Drive game live, your pre-launch checklist gets replaced with additional player statistics. These statistics are dynamic. You can click within them to access full reports. You can also hover over the bars in the graph or the pie pieces in the pie chart to see specific data points. The Knowledge Guru Knowledge Base is always available to you via Access Resources in your navigation pane. 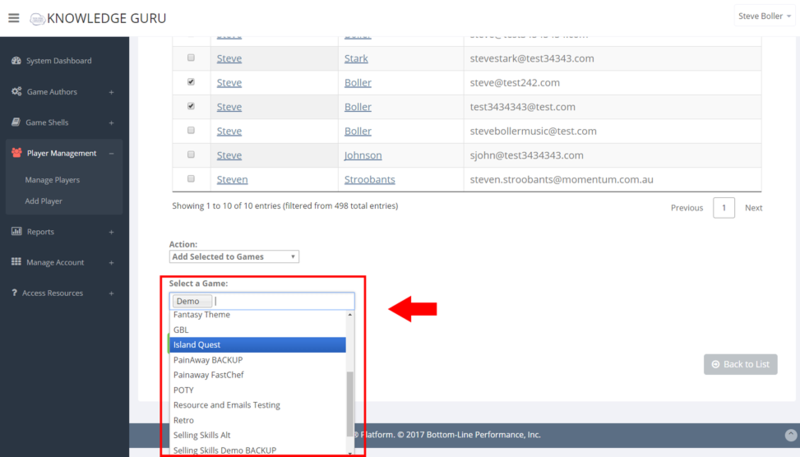 This menu option contains a link to the Drive Knowledge Base as well as to Support. As a System Administrator, you have the power to add, edit, or remove game shells. A game shell is a game that does not yet have content in it and hasn’t been made “live.” Every game starts out as an empty shell. Once a Game Author populates the shell and converts it to online status, it becomes a game. As a System Admin, consult with the intended Game Author to determine if the game shell should be for a Quest, Legend, or Drive game. 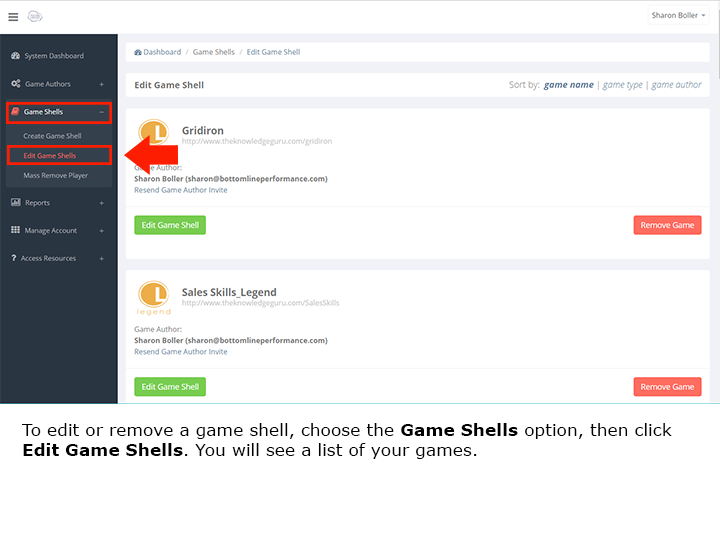 Follow these steps to add, edit, or remove game shells. In the System Administrator tool, click GAME SHELLS left-hand menu . Click CREATE NEW GAME SHELL. First, select the game type you want to create. 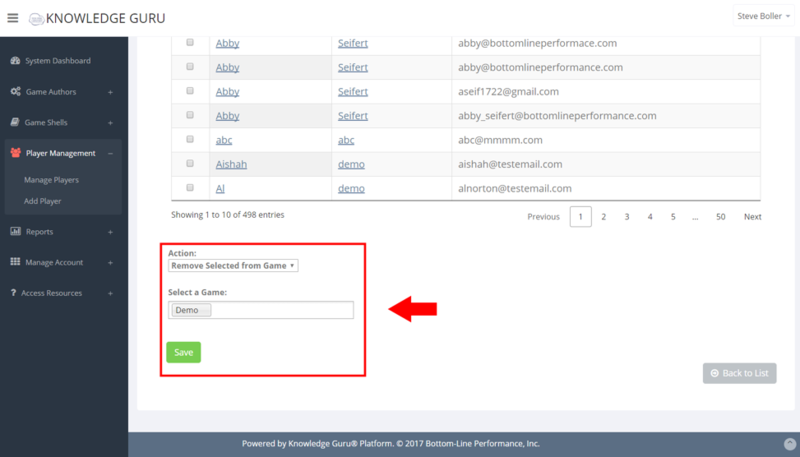 Select the Game Author from the drop-down menu. 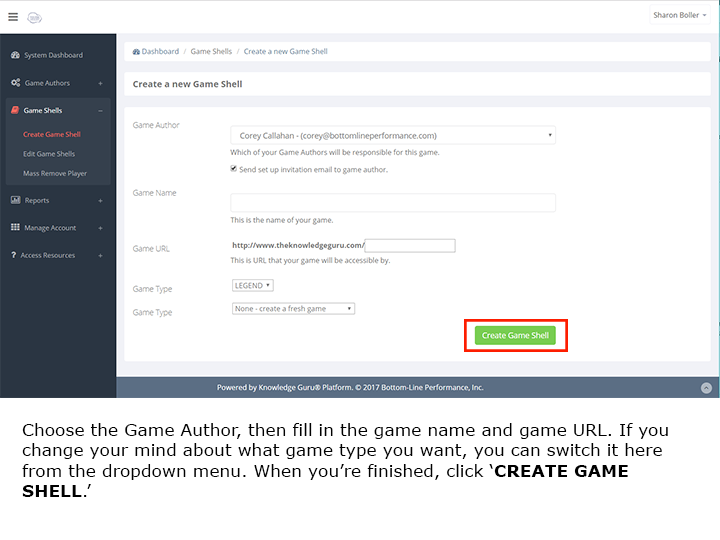 Create a game name and URL. Choose a game type (Drive, Quest or Legend). In the System Administrator tool, click GAME SHELLS in the left-hand menu. 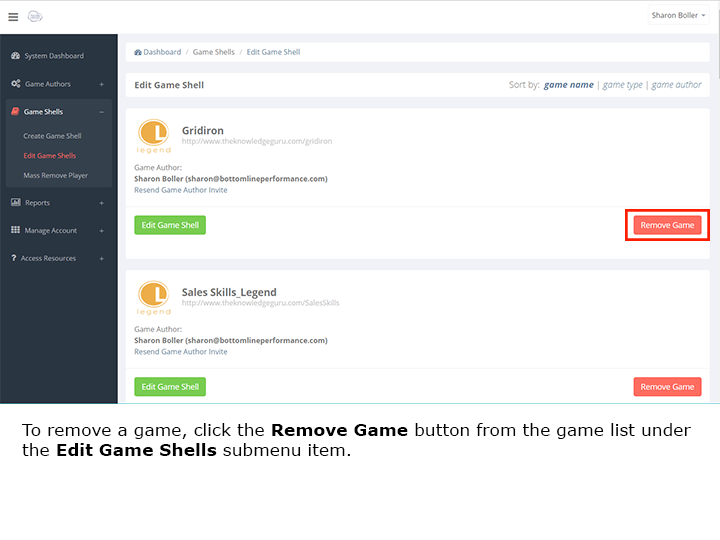 Select a game from the list, then click EDIT GAME SHELL. In the Edit Game Shell section, change the Game Author, name, or URL. To remove the game, click EDIT GAME SHELLS in the left-hand menu. 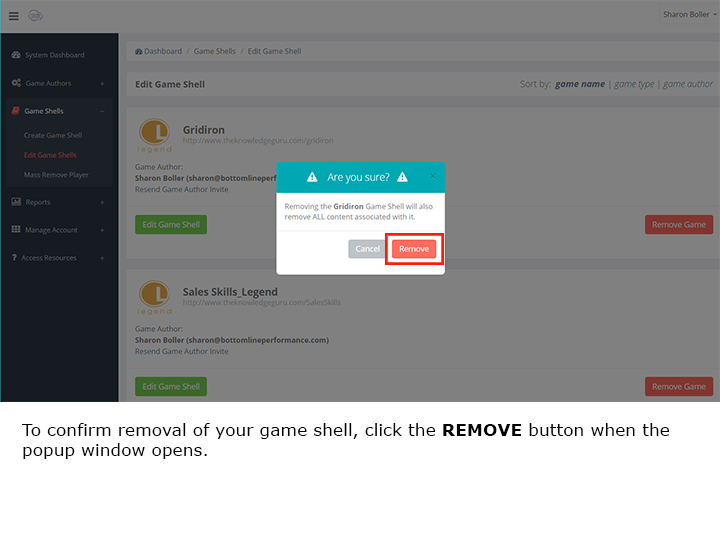 Choose a game from the list, then click the REMOVE GAME button. Click REMOVE when the popup appears. Don’t know your password? Enter your email address and click Forgot Password to receive email instructions for resetting your password. 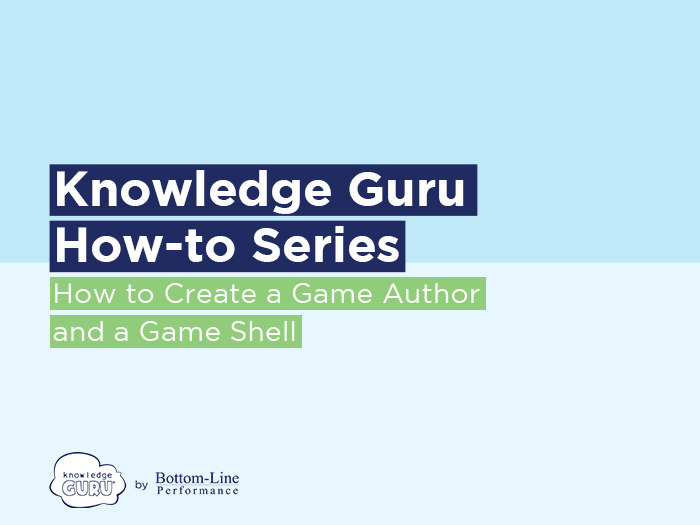 If you are not yet registered with Knowledge Guru, reach out to your Knowledge Guru Specialist at Bottom-Line Performance and they can help you register. If you don’t know who your Knowledge Guru Specialist is, please submit a Support ticket. 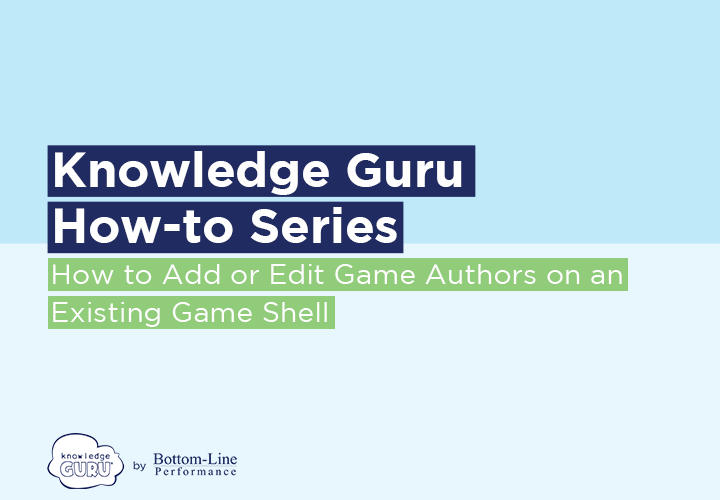 Every Knowledge Guru game must have at least one, but up to 10, Game Author(s) associated with it. A Game Author is the individual who creates the game content, customizes the game, and implements the game (e.g. makes it go live). The game author can also access and export game reports that detail player progress, player performance, etc. You must be designated as a system administrator within Knowledge Guru to create a game author. 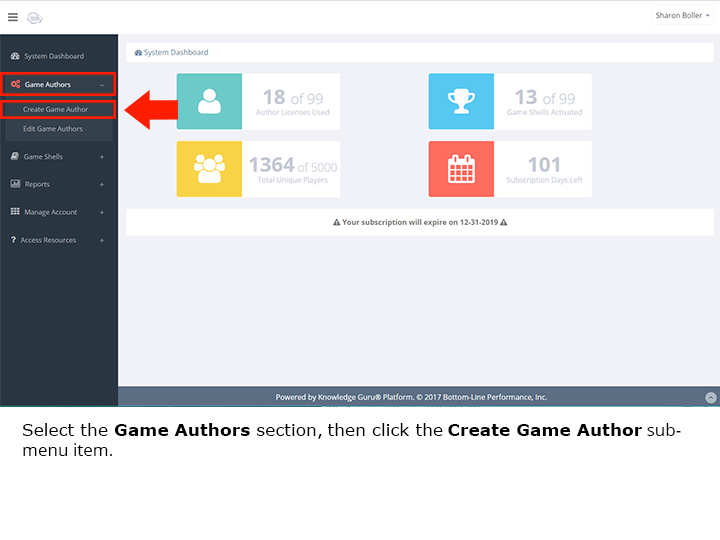 Select GAME AUTHORS/CREATE GAME AUTHOR from the left-hand menu. 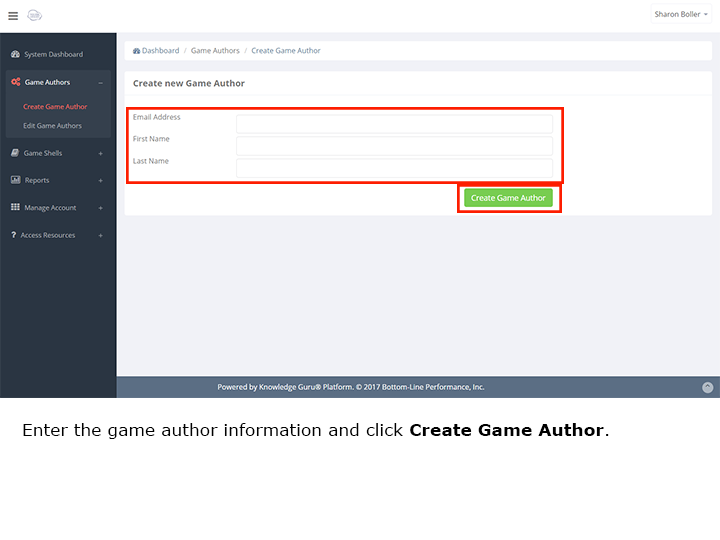 Enter the game author information and click CREATE GAME AUTHOR. From the left-hand menu, select GAME SHELLS/CREATE GAME SHELL. On the screen that appears, choose the game type you want to create. Fill in the game name, and game URL. Select a primary author and up to nine secondary authors. 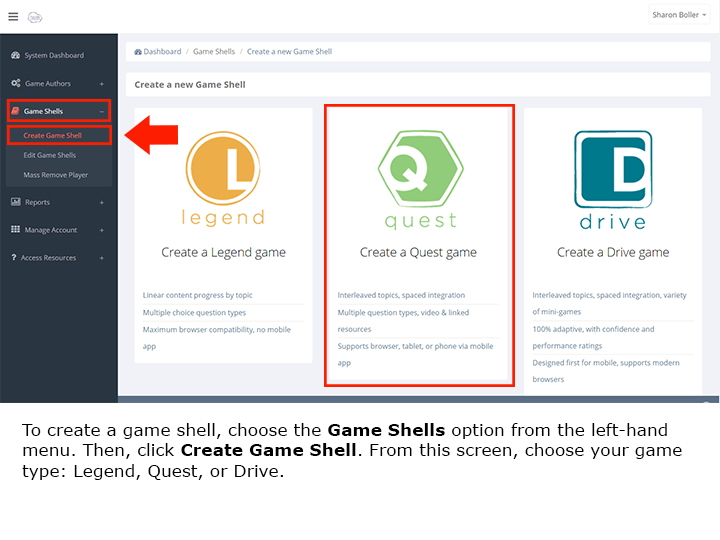 Choose which game type you want in the drop-down menu (QUEST/DRIVE). Every Knowledge Guru subscription includes four user roles. Take time to understand the roles as it helps you understand what each one can and cannot do. This role serves as Bottom-Line Performance’s primary point of contact. Information on new product releases is sent to this individual. Renewal information also gets sent to this individual. Function as a System Administrator. 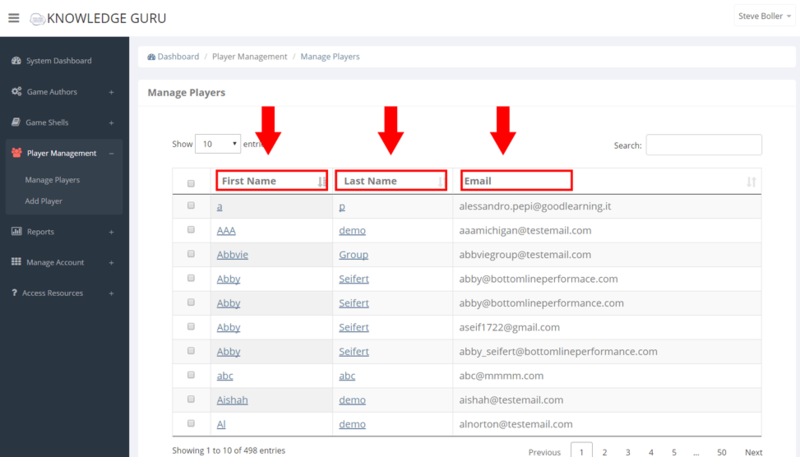 In Enterprise subscriptions only, assign another team member to be a system administrator. Access the Manage Accounts tab within system administration site. Perform any task a System Administrator can do (outlined below). Manage game authors and game shells by adding, editing, and deleting them. Log in to any game within the system and perform all actions a Game Author can. Monitor overall usage against the subscription limits (number of game shells, players, author licenses). Create, edit, or delete game content. 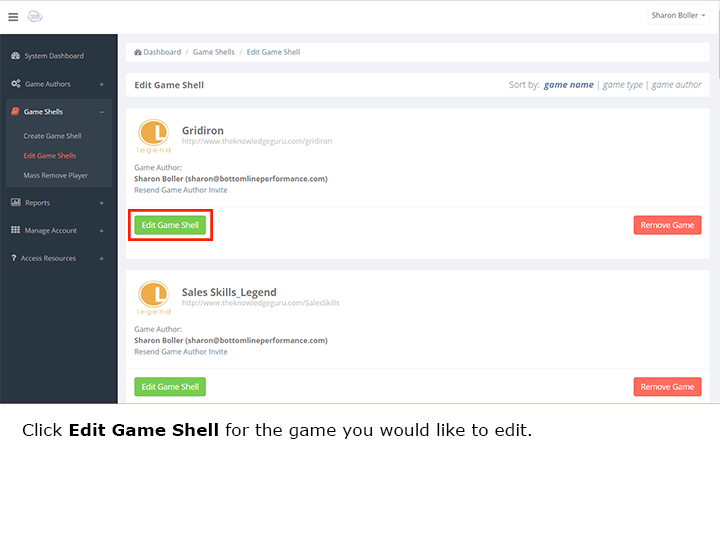 Customize the game shell’s theme and branding. Set up email verification requirement for new players. Add, edit, or delete individual players from the game (not the overall system). 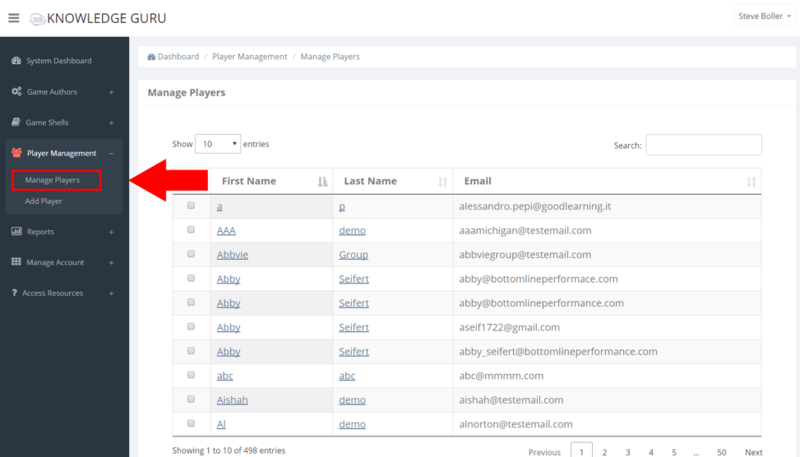 Reset player progress – for a single player or for a group of players. 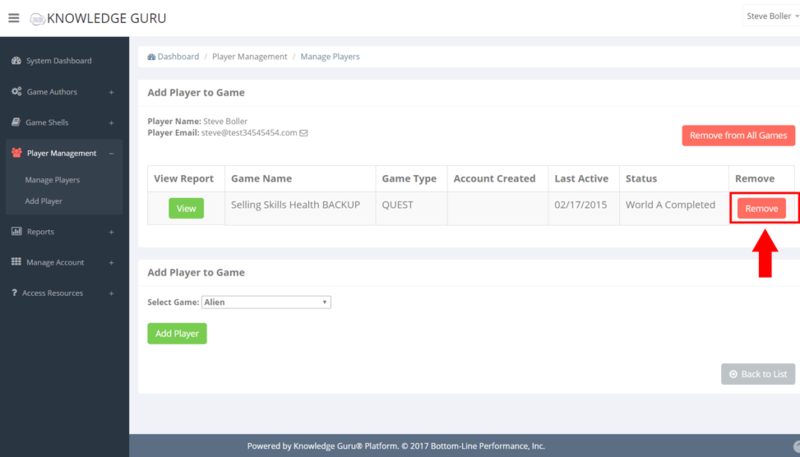 Generate game reports and monitor game play. 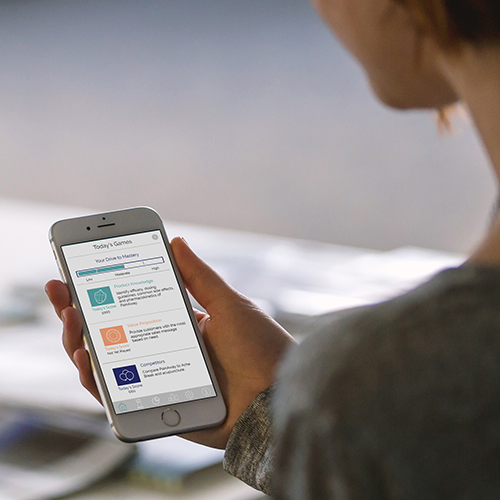 Export a SCORM package and supply it to an LMS administrator for upload to an LMS. 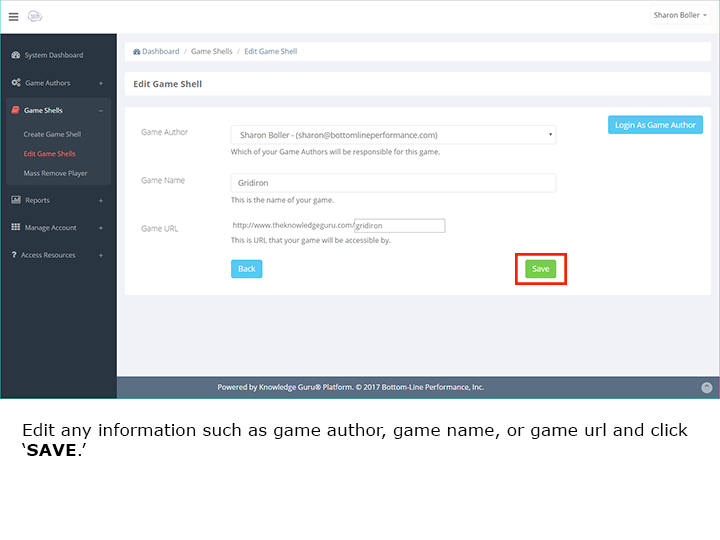 Obtain the game URL to provide it to players who need access to the game. 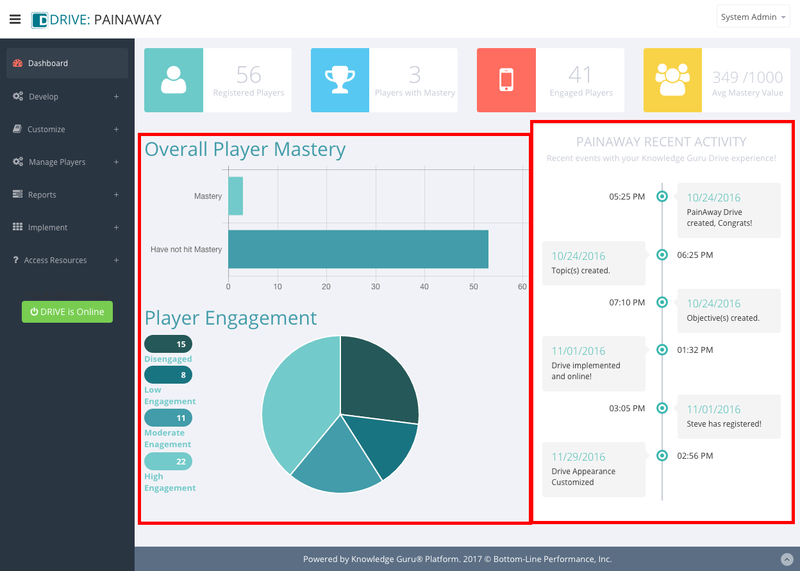 Provide a link to a “live scoreboard” if a workshop facilitator wants to use a Knowledge Guru game as part of a live event. Players can register for – and play – a Knowledge Guru game for which they have the URL and appropriate access credentials. 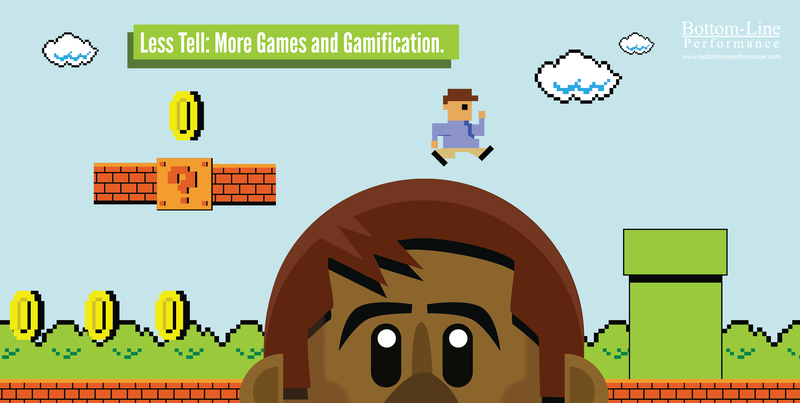 Knowledge Guru has three game apps that offer different learner and gameplay experiences. Quest uses a question/answer format. Drive uses mini-games that are more robust in the gaming aspect and go beyond simple question/answer. 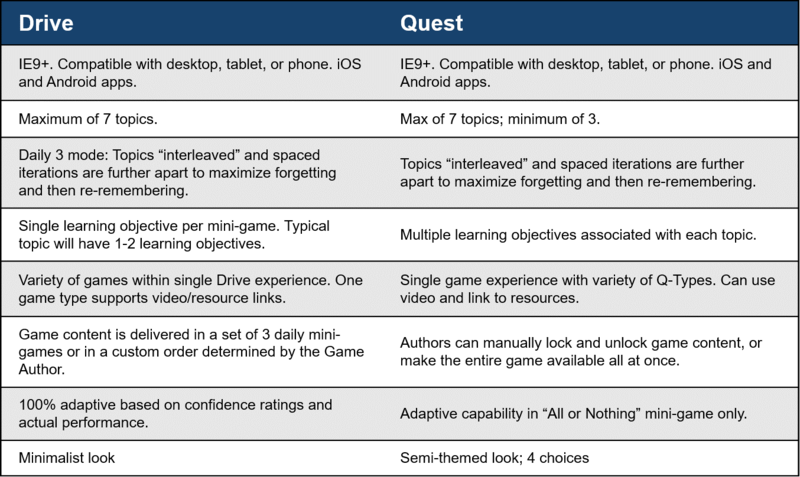 This article explains the main differences between Quest and Drive in terms of instructional design, use cases, and player experience. Want the short and sweet version? Here’s a summary chart. Now, let’s break it down. When it comes to instructional design, all the Knowledge Guru apps share four core design elements, but there are a lot of differences as well. The chart below shows these differences. 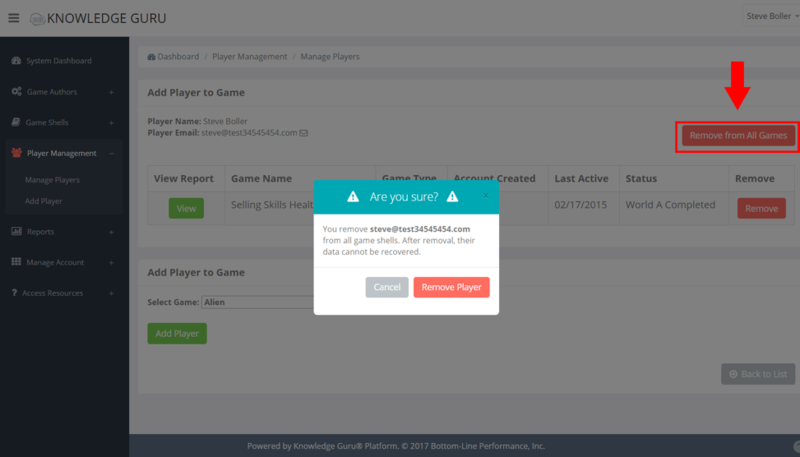 Each Knowledge Guru app has a unique user experience and game design. The chart below describes their unique attributes. The chart below shows the possible use cases for each Knowledge Guru app. Here are some questions that might help you decide. Not sure which app is right? Are you limited to IE8? If IE8 is an absolute requirement, then Legend is the game type you need to use. Do you want option of play on a smartphone? If yes, use Quest or Drive. Are you focused on micro-learning? If yes, Drive or Quest is best. 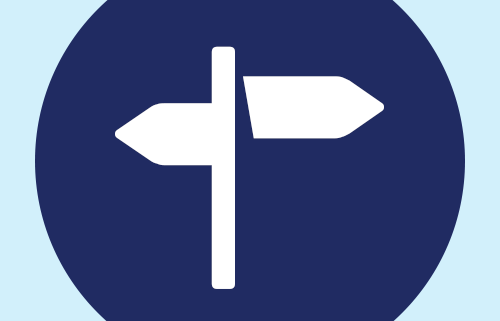 Do you need learners to only be able to complete questions associated with ONE topic at a time? If controlling access to topics matters, then go with Legend or Drive with Custom minigame delivery. Would you like the game to include skill components – where players actually practice a skill or do something in addition to answering game questions? If yes, choose Quest. 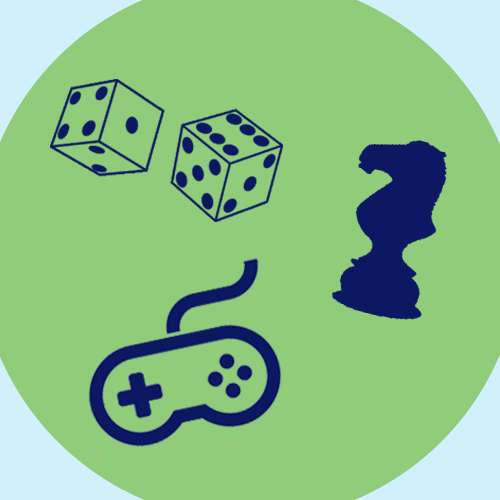 Do you want game play to continue across several days or weeks to maximize benefits of spaced repetition?If so, choose Quest or Drive Daily 3 minigame delivery. Does your game need more than 4 topics? If so, choose Quest or Drive. Are you looking for a one-time, quick-play experience? Choose Legend – you can set up a small game that only has 9 to 12 question sets. People can play in about 15 minutes/ time. Use it to reinforce 1-3 key concepts. Do you want to incorporate video?If so, choose Quest or Drive. Is your focus reinforcement and / or adaptive learning? Choose Drive.